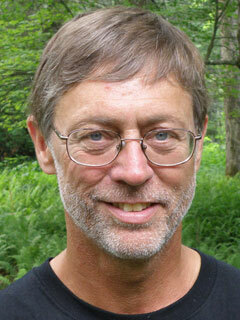 Readers' Choice, The Atlantic's "Brave Thinker"
Stan Cox is a plant breeder at the Land Institute in Salina, Kansas. He has written on environmental issues for newspapers nationwide, including the Washington Post and the Los Angeles Times, as well as for CounterPunch, AlterNet, and many other online publications. He is the author of Any Way You Slice It and Losing Our Cool, both published by The New Press, and Sick Planet: Corporate Food and Medicine. With his son, Paul Cox, he is a co-author of How the World Breaks: Life in Catastrophe’s Path, from the Caribbean to Siberia (The New Press). He lives in Salina. Stan Cox writes about rationing in The New York Times' "Room for Debate"